1. How Did You Arrive at the Diagnosis? Sometimes a dementia diagnosis comes as a surprise and other times you might be anticipating this outcome. Learning how the doctor came to this diagnosis, what tests were conducted, and how your loved one scored can be valuable. This information can be helpful in determining long- and short-term memory, decision-making abilities, judgment, and communication ability. The Mayo Clinic has this great primer on how doctors diagnose dementia. 2. What Kind of Dementia Does My Loved One Have? There are many types of dementia. Knowing which kind your loved one has will give you a broader view of his or her situation and help inform your next steps. Patients with Alzheimer’s may experience different levels of dementia that are easy to predict, while vascular dementia remains stable for a time and then suddenly evolves. Want to learn more? Check out the Alzheimer’s Association’s breakdown of the different types of dementia. 3. How Quickly Does This Dementia Progress? It’s important to understand how this disease will progress over time and how it will affect your loved one. 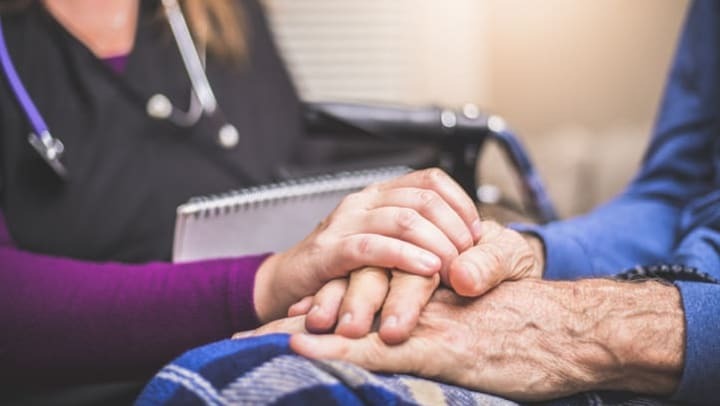 Understanding how this type of dementia progresses helps you make decisions about care options, finances, medical treatment, and legal designations. 4. Is It Still Safe to Live at Home? Doctors can make observations and will analyze the results of cognitive screening tests in order to make a recommendation regarding the safety of your loved one living at home. It’s important to understand the type of dementia your loved one has and what specific treatment options are available. Treatment can range depending on the stage and symptoms of dementia. 6. What Kind of Assessment Will You Use to Determine if Treatment is Effective? As your loved one’s condition progresses and changes, you want to understand how the doctor will assess the treatment in order to determine effectiveness. 7. What Medications Might Be Helpful in Treatment? The FDA has approved several medications to treat Alzheimer's disease and other forms of dementia. Ask your doctor if any of these may be appropriate in the treatment of your loved one’s dementia. Remember to follow up with questions about the side effects of each specific medication. Use this Alzheimer’s Association primer to study up on what’s out there. 8. What Non-Medication Approaches May Help? Doctors may also be able to suggest treatment without the use of prescription drugs. These options often include changes in diet, exercise, and mental activity to benefit a patient with dementia. 9. What Else Should We Expect? As your loved one’s dementia progresses, it’s important to know what symptoms to watch for and what you should do when they arise. 10. What Services & Support Options Are Available for Families? Your doctor may be able to suggest support groups and resources for families adjusting and coping with this disease. Many communities have local Alzheimer’s and dementia groups that can be helpful during this trying time. For more on dementia and senior living, check out the Artis Senior Living blog.